The first lot of footage we shot and used for "the South" is probably over five years old now. Goodness, time has flown by and things have certainly changed. I used to be an unemployed filmmaker who would work a few hours at the local bike shop for some extra money. These days I'm unemployed with a head injury and get to work a few hours at the local bike shop for some extra money... How things have changed; I have less hair on my head. 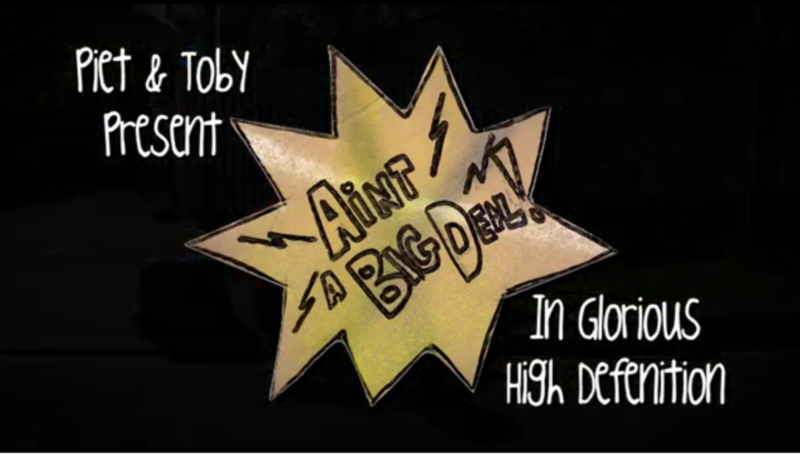 When deciding to put "the South" onto YouTube (so you cheapskates who didn't buy it can finally see it) it got me thinking about "Aint a Big Deal" and what ever happened to the pilot that Toby Nowland-Forman (Bishop back then) and I made. And there it was; all locked up in Vimeo with only five views! So I thought the world would be finally ready to see this one-off Webisode. The concept of "Aint a Big Deal" was we could film some of the best riders in New Zealand, we had access to some of the best tunes in New Zealand and we weren't that bad at what we did, so what's the big deal? Of course sponsors want to put their money into the next Big Deal and we decided to do the safe option, that of a DVD. "the South" ended up on the cover of Australian Mountain Bike magazine and then was supported by Spoke magazine and Wide Open distribution in New Zealand. Each week I'll put a section up and try to give some interesting behind the scenes information about "the South" and may even be able to dig up some dirt on the riders.... I'll also put the video above the text so you don't have to read it, for now enjoy the opening credits.